ONLY 36,835 Miles! Moonroof, Heated/Cooled Leather Seats, Navigation, Back-Up Camera, Turbo Charged, Premium Sound System READ MORE! Leather Seats, Sunroof, Panoramic Roof, Heated Driver Seat, Cooled Driver Seat, Back-Up Camera, Premium Sound System, Satellite Radio, Onboard Communications System, Remote Engine Start, Dual Zone A/C, WiFi Hotspot, Blind Spot Monitor, Lane Keeping Assist, Cross-Traffic Alert. Keyless Entry, Remote Trunk Release, Steering Wheel Controls, Child Safety Locks, Heated Mirrors. BLACK CHROME PACKAGE includes (PZX) 18" After Midnight premium painted alloy wheels and (TSA) Black chrome grille. TRANSMISSION, 8-SPEED AUTOMATIC (STD), ENGINE, 2.0L TURBO, I4, DI, DOHC, VVT with automatic stop/start (268 hp [200 kW] @ 5600 rpm, 295 lb-ft of torque [400 N-m] @ 3000-4500 rpm) (STD), CADILLAC CUE INFORMATION AND MEDIA CONTROL SYSTEM WITH EMBEDDED NAVIGATION AM/FM stereo with embedded navigation, 8" color information display, three USB ports, auxiliary input jack, Natural Voice Recognition and Phone Integration for Apple CarPlay capability for compatible phone. 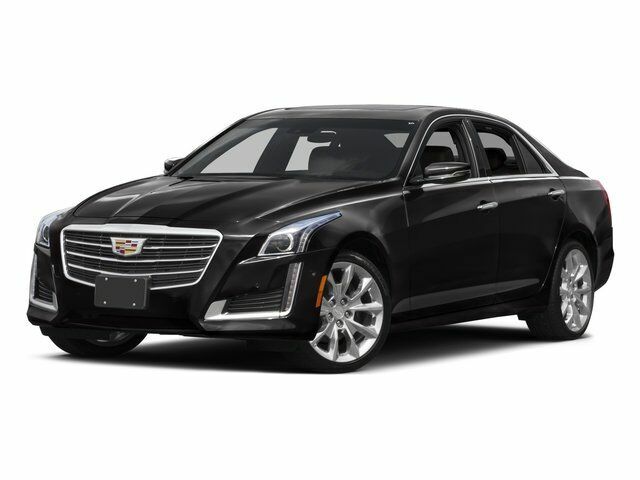 Cadillac Luxury Collection RWD with Black Raven exterior and Jet Black with Jet Black Accents interior features a 4 Cylinder Engine with 268 HP at 5600 RPM*. Edmunds.com explains "The interior of the 2016 Cadillac CTS is sophisticated, luxurious and rendered in rich materials Great Gas Mileage: 31 MPG Hwy. BLACK CHROME PACKAGE includes (PZX) 18" After Midnight premium painted alloy wheels and (TSA) Black chrome grille.